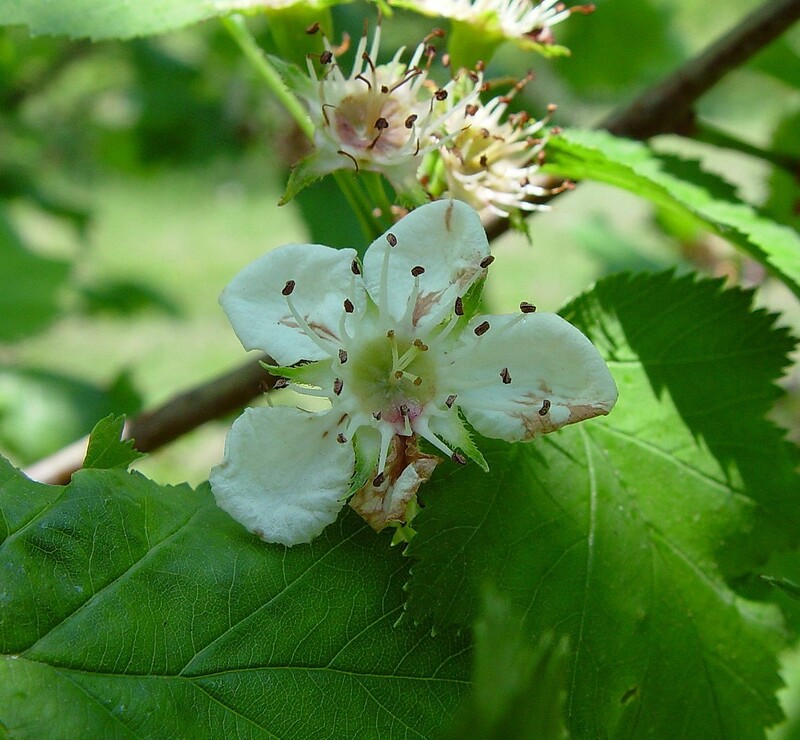 Kansas hawthorn is a small tree (usually up to 20 feet/7 m tall) that prefers dry hillsides, usually on limestone bedrock. 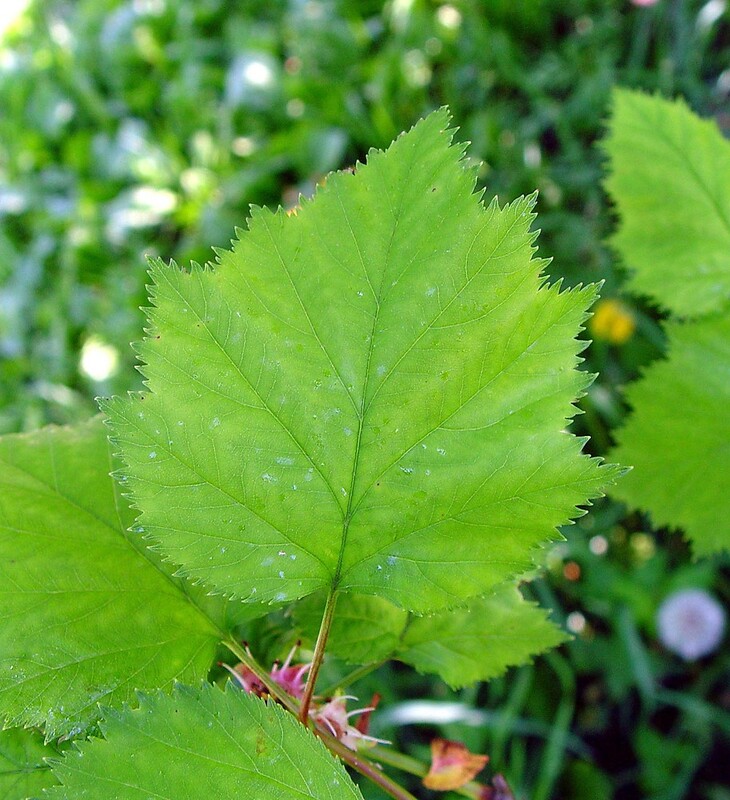 As such, in New England, it is primarily found in the western hills of Vermont, Massachusetts, and Connecticut (though other populations occur elsewhere). In the heart of its range (Kansas and the midwest), it is planted as a city tree because of its tolerance to pollution, its red fall foliage, and its brilliant red fruits. 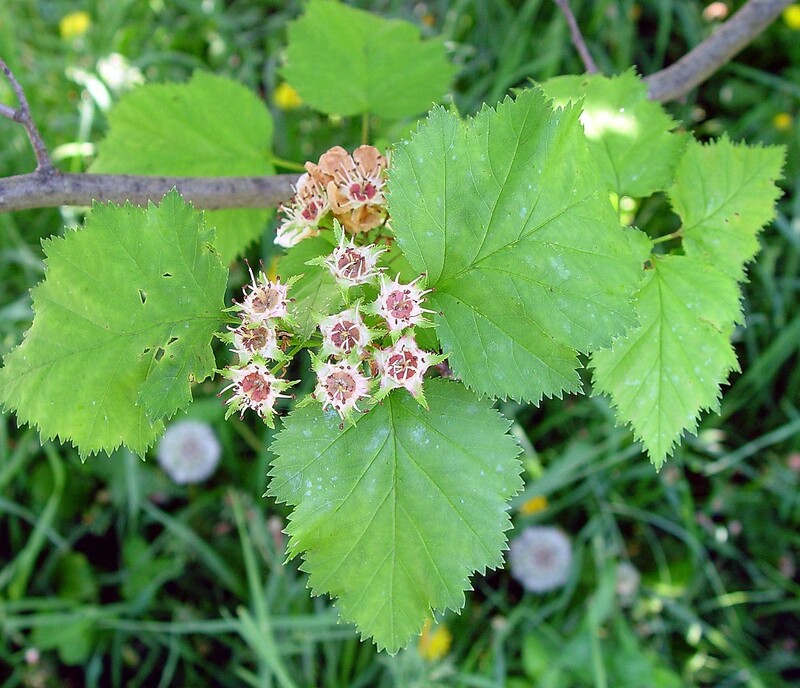 flowers with 5-10 stamens, 17-20 mm wide, and leaf blades usually rounded to truncate at the base (vs. C. coccinioides, with flowers with 12-20 stamens, 20-24 mm wide, and leaf blades usually truncate to subcordate at the base). 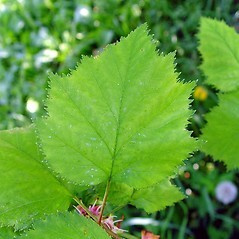 Crataegus coccinioides Ashe var. dilatata (Sarg.) Egglest. 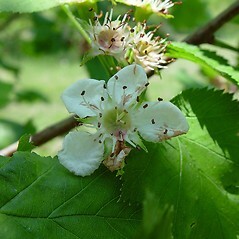 Kansas hawthorn. 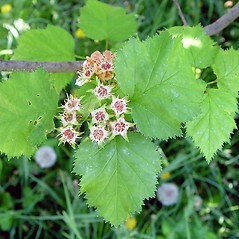 Crataegus coccinioides Ashe var. dilatata (Sarg.) Egglest. ; C. dilatata Sarg. • CT, MA, VT. Fields, forest borders, roadsides, early successional forests.